Data loss will be costly. At the very least, critical data loss will have a financial impact on companies of all sizes. In some cases, it can cost your job. I’ve seen cases where sysadmins learned this in the hard way. There are several ways to backup a Linux system, including rsync and rsnapshot that we discussed a while back. This article provides 6 practical examples on using dd command to backup the Linux system. dd is a powerful UNIX utility, which is used by the Linux kernel makefiles to make boot images. It can also be used to copy data. Only superuser can execute dd command. Warning: While using dd command, if you are not careful, and if you don’t know what you are doing, you will lose your data! To backup an entire copy of a hard disk to another hard disk connected to the same system, execute the dd command as shown below. In this dd command example, the UNIX device name of the source hard disk is /dev/hda, and device name of the target hard disk is /dev/hdb. “if” represents inputfile, and “of” represents output file. So the exact copy of /dev/sda will be available in /dev/sdb. Input file and output file should be mentioned very carefully, if you mention source device in the target and vice versa, you might loss all your data. In the copy of hard drive to hard drive using dd command given below, sync option allows you to copy everything using synchronized I/O. Instead of taking a backup of the hard disk, you can create an image file of the hard disk and save it in other storage devices.There are many advantages to backing up your data to a disk image, one being the ease of use. This method is typically faster than other types of backups, enabling you to quickly restore data following an unexpected catastrophe. The above creates the image of a harddisk /dev/hda. Refer our earlier article How to view initrd.image for more details. To restore a hard disk with the image file of an another hard disk, use the following dd command example. The image file hdadisk.img file, is the image of a /dev/hda, so the above command will restore the image of /dev/hda to /dev/hdb. Using dd command, you can create a copy of the floppy image very quickly. In input file, give the floppy device location, and in the output file, give the name of your floppy image file as shown below. You can use the device name of a partition in the input file, and in the output either you can specify your target path or image file as shown in the dd command example below. dd command allows you to create an iso file from a source file. So we can insert the CD and enter dd command to create an iso file of a CD content. dd command reads one block of input and process it and writes it into an output file. You can specify the block size for input and output file. In the above dd command example, the parameter “bs” specifies the block size for the both the input and output file. So dd uses 2048bytes as a block size in the above command. Note: If CD is auto mounted, before creating an iso image using dd command, its always good if you unmount the CD device to avoid any unnecessary access to the CD ROM. When and why should i use synchronized I/O? How should i find optimal block size? I would like to share one of many hacks to know the “status” of dd copy progress. This will shows the copied bytes and the copy rate. It’s a really useful post, but I think it should be noted that dd is used just to copy files, and not to make backups, because a backup tool has a lot more functionality, like different backup levels, automation of backups and some kind of database storing related data (files saved, operator who run the backup, etc). This is not very much related to dd, but I thought you’s like to know that your example 5 has a bash-ism that I’m not entirely sure is a bug or a feature. Most other shells won’t expand the ~ to $HOME like bash does for that particular command. Zsh has an option MAGIC_EQUAL_SUBST to let you choose either way. It copies 1 chunk of 512 bytes which is the amount of info that the MBR of the disk takes. It overwrites the first 512 bytes of your /dev/hda drive. It dumps the partitions of the /dev/hda disk to a text file, which you’ll be able to recover easily. In this dd command example, the UNIX device name of the source hard disk is /dev/hda, and device name of the target hard disk is /dev/hdb. If you make a mistake and put the wrong source/destination as if/of, you WILL lose your data and recovery becomes very annoying. Possible, but annoying, such as losing all your filenames and filesizes. Despite that is a comment about to use dd command to backup (and restore) dual boot partitions with Windows and Linux inside (I didn’t see any repply about it), may I use dd command to backup a HD with one Partition only containning a windows system 64bit and after to create two partitions, restore the windows operational system on the first partition of the HD? I have a problem and I hope you can help me. I have to add two hard disks on a linux server. The first is the primary disk and the second is the backup disk. 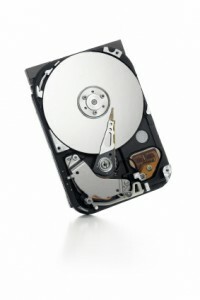 How to make the second hard drive to work when the first hard drive stop to work or break down? i fond a solution for windows but I need one for linux. Nice examples. I just want to know if i can take the complete backup (Disk image). when the system is online. eg: i have 1 hdd running centos 5.8 and will insert an external HDD of same size and take the backup when the system is in production. 2. if my HDD is 250 GB and used is 150 GB will the backup size is 250 GB or 150 GB.? is it same for partition backup and HDD backup…? I tried dd if=/dev/sda of=/dev/sdb and its keep on running from last one hour and my used space of hdd is only 8 gb. Do i need to stop it manually. What about data integrity when dd on running machine ? Performance of the compression can be improved by creating & deleting a file from /dev/zero before doing the backup, e.g. does not do synchronized I/O, to do this the option iflag=sync or oflag=sync should be used. while making a general ISO of a 3-4 GB dvd disk. how much ‘bs’ to use. Please describe the use of it. i have 5 files iso (from oracle linux 6.5 ) that i have to put or ( burn ) into one usb flash drive . or one by one ..
Great Sir, it is really help information. can i store the Image of HDD in NAS? Can i restore the same image on the other server which was having different specifications ? To copy multiple img file into single file, i’d rather use tar . I wanted to save the IMG file directly on the NAS is that possible?